It wasn't a very long time ago that pickup trucks were only purchased for those who were in need of great power and strong tow options, so much thought wasn't put into styling and amenities. With the 2015 GMC Sierra, it's clear that's no longer the case. When it comes to reliability, safety, and sheer power, the GMC Sierra, an impressive full-size pickup, is a solid (and stylish) contender. The 2015 Sierra continues the redesign seen with the 2014 model, and consumers and test drivers alike have called the new GMC Sierra refined and a solid performer with a surprisingly well-designed, attractive interior. Below are 10 reasons to buy the new 2015 GMC Sierra, and also a few reasons why you shouldn't. For a pickup truck, the GMC Sierra is one gorgeous vehicle. 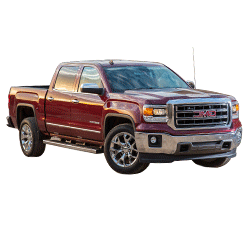 With a shiny chrome grill that will clog a rearview mirror, the 2015 Sierra sets the bar pretty high and claims some of the styling and design pizzazz thought to be reserved for cars and SUVS. There's also something muscular and rugged about the way the new 2015 Sierra looks; the front end has a high hood and is very blunt and almost brutish, which makes a bold statement. Though an EPA-estimated 16 city miles and 23 highway miles per gallon may not seem like a lot compared to that seen in some of the new sedans and crossovers, the GMC Sierra gets very respectable fuel economy for full-size pickup. The remarkable engines employed in the 2015 Sierra line are much improved and very powerful, with continuously variable valve timing, direct fuel injection and cylinder deactivation. The 4.3L V-6 will provide more than enough power for all but the most frequent haulers, who might prefer stepping up into the 5.3 or 6.2-liter V-8 engines that are also available. Any drivers finding themselves need to tow heavy trailers, equipment, or perhaps a smallish yacht will be perfectly at home in the 2015 GMC Sierra. With a 5.3-liter V-8 and 355 horsepower, the Sierra can tow up to 11,000 pounds without hesitation. The 6.2-liter V-8, which has 420 horsepower, can produce up to 450 pounds-per-foot of torque. As one might expect, the new GMC Sierra has an option for four-wheel drive instead of the standard rear-wheel drive with any of its three engine options. 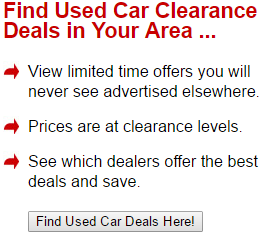 The 2015 GMC Sierra has a host of safety features available that test drivers and reviewers have been raving about. The new Sierra has Forward Collision Alert and Lane Departure Warning, both of which are camera-based, and can include a Driver Alert Seat that will vibrate on either side to alert the driver to hazards. StabiliTrak stability control, which includes Trailer Sway Control and Hill Start Assist, is a useful safety package as well. There are some fun, useful gadgets available in the new 2015 GMC Sierra. Each Sierra comes with a 4.2-inch color display along with AM/FM radio, CD player, air conditioning, and keyless entry. GMC also offers its IntelliLink system in the new Sierra; IntelliLink is a combination of voice-command, Bluetooth connectivity with audio streaming, and a Pandora app. Navigation is available with an 8-inch reconfigurable touch-screen LCD as well. The new Sierra can come with up to four 12-volt outlets, five USB ports, and even an SD card slot. According to test drivers, the 2015 GMC Sierra is a joy to drive. The power combined with the responsible power steering, four-wheel disc brakes, and even long-life rotors make the Sierra stand out from some of its competition. The steering in particular is perfectly weighted with quick reflexes, so maneuvering the Sierra isn't cumbersome or lethargic like one might expect from a full-size pickup. Some of the details GMC added to the 2015 Sierra's truck bed are definitely worthy of not. At lengths of 5'8" up to 8' depending on which cab option is chosen, the GMC Sierra's bed has an integrated bumper step, LED bed lighting, and -- more impressive still -- a damped tailgate that lowers smoothly instead of heavily with a thunk. 10. Redesigned Dash and Interior. The 2015 GMC Sierra features a well laid-out upright dashboard that doesn't impose, leaving the cabin feeling roomy and open. The climate, stereo and accessory controls are designed so that, even with a gloved hand, they're very easy to use and manipulate. The build quality and materials used have been upgraded and are at least on par with any other vehicle in this class. GMC's trademark red lighting is used for the gauges as well as the ambient cabin lighting. 1. Price. Though consumers in the market for a full-size pickup should be ready to pay a somewhat hefty price tag compared to other classes of vehicle, GMC itself has reported that the Sierra, which could end up costing $50,000 or more, has one of the highest transaction prices on the road. 2. Limited Space for Passengers. Even with an extended cab or the coveted Denali edition, the 2015 GMC Sierra doesn't offer drivers much space for additional passengers and hose with the second row of seating offer rear passengers a somewhat cramped ride. 3. Gas Mileage. It's true that the new GMC Sierra has admirable fuel economy for a pickup truck, but the fact of the matter is that any vehicle that gets barely 20 miles per gallon on a good day is going to be expensive to drive considering fuel costs. The 2015 Chevrolet Silverado offers similar features and capabilities as the GMC Sierra, but at a significantly lower cost. Ford's F-150 and F-250 are also very popular options, mostly because the interior and exterior styling hasn't changed much over the years, but those who like their truck dressed up in a tux will be pleased with the eye-catching GMC Sierra. A benchmark for sophistication among full-size pickup trucks, the new 2015 GMC Sierra is perfect for anybody looking for power, towing ability, a smooth ride, and handsome styling in their pickup truck.